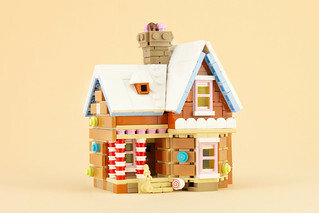 For Christmas I rebuilt my Up House as a Gingerbread house. While you can't eat it, you can build it! Support it on Lego Ideas and with your help the Up House could be under your Christmas tree next year! Thank you four your support and Merry Christmas everyone!